Discover five forces that are changing the face of your workforce, and how to take advantage of what they bring. Profound demographic changes and the ubiquity of technology are impacting the very makeup of the workforce for virtually every organization. Businesses who understand these changes and are poised to take advantage of them will ultimately win The War for Talent. The concrete steps you need to take to protect your organization and benefit from these trends. 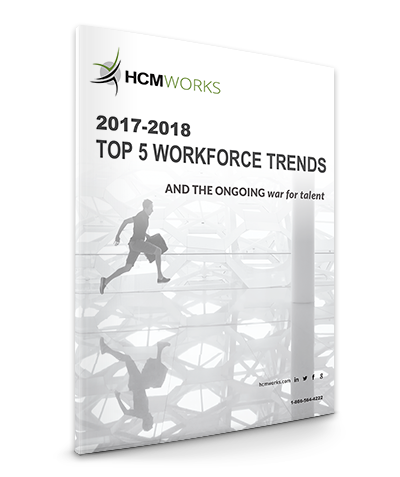 Download this free guide to learn more about how to position your organization to benefit from these top workforce trends in 2017-2018 and win the War for Talent.